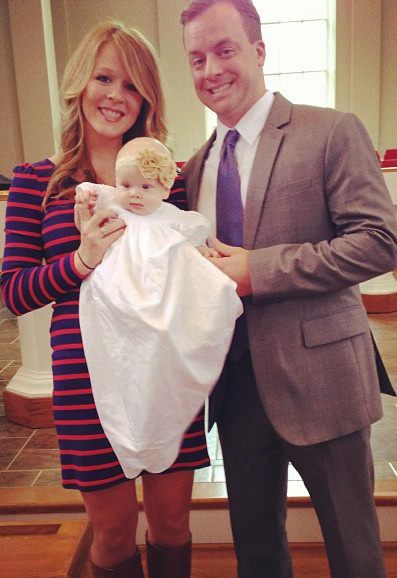 Baby girl was baptized yesterday!! And it was an awesome day!!! Well that day is now and he has definitely lived up to that vow. And then some!! 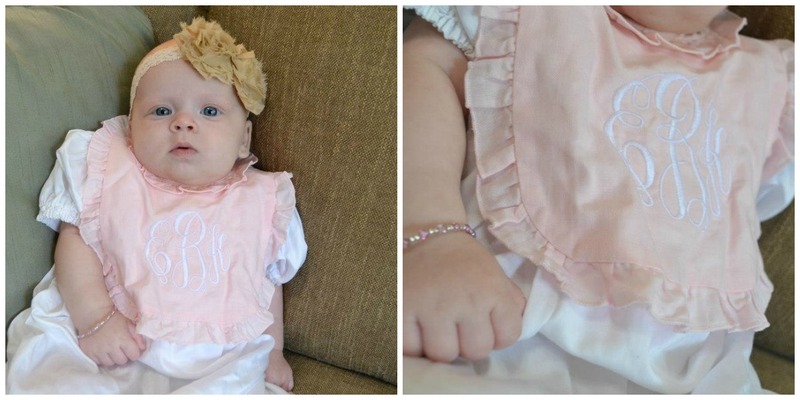 That sweet little bracelet had a cross on it and was a gift from my Aunt, and it was absolutely precious. A very special little gift! 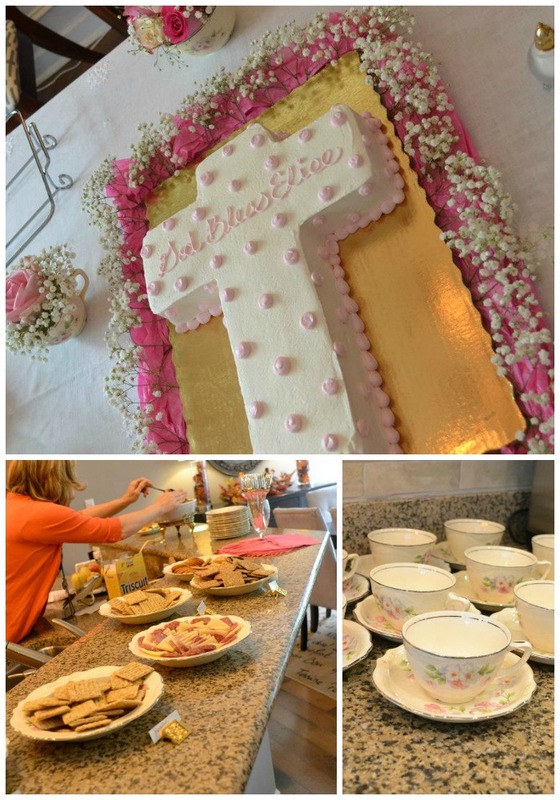 We had (almost) all of our favorite family and friends here to celebrate Miss E's big day! 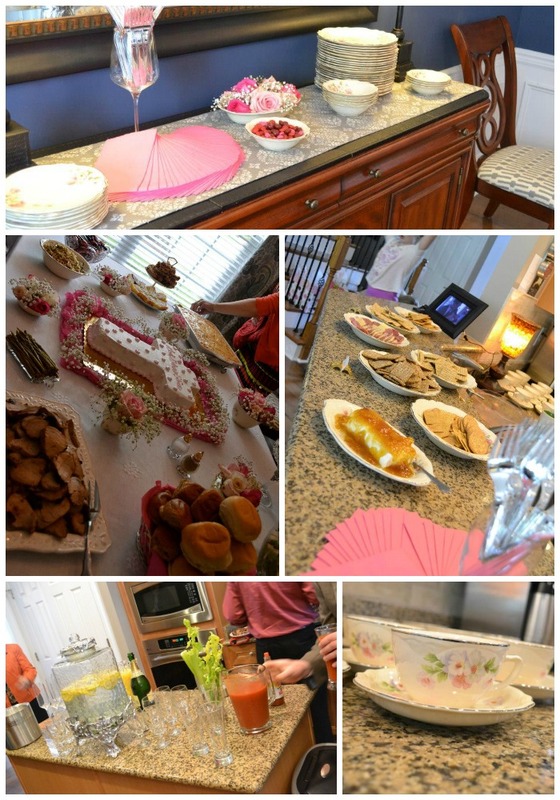 My awesome parents threw a brunch after the service on at their home. And my Momma and Aunt, as per usual, out did themselves! Yummy, yummy cake! And so pretty!! Elise and Adelyn...they are going to be besties!! Everybody loving on her sweetness! Happy Baby! It was such a special and perfect day. 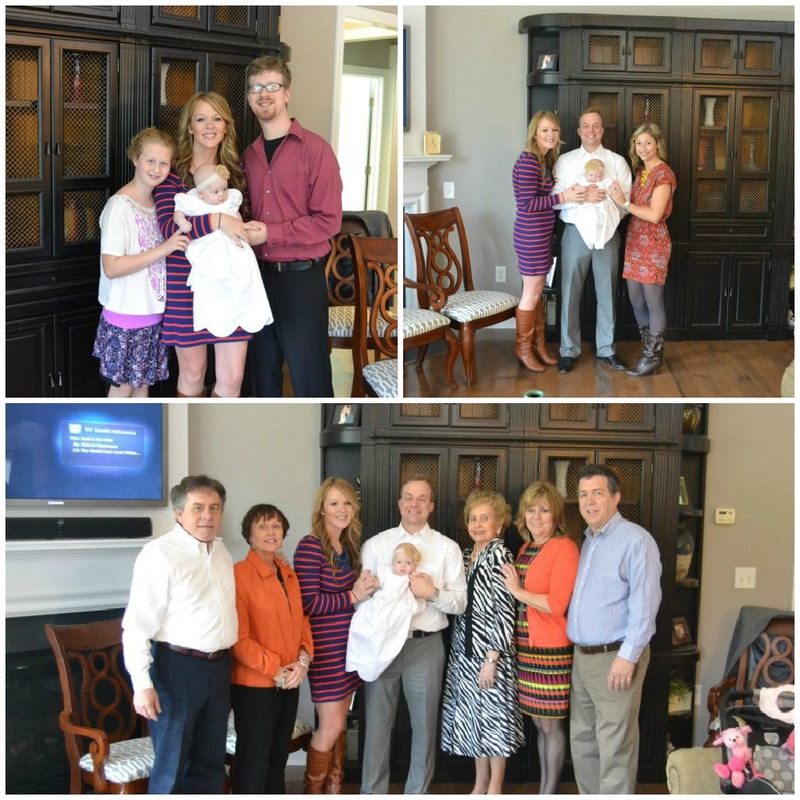 We are such a blessed family and Elise is one blessed little girl! How beautiful! 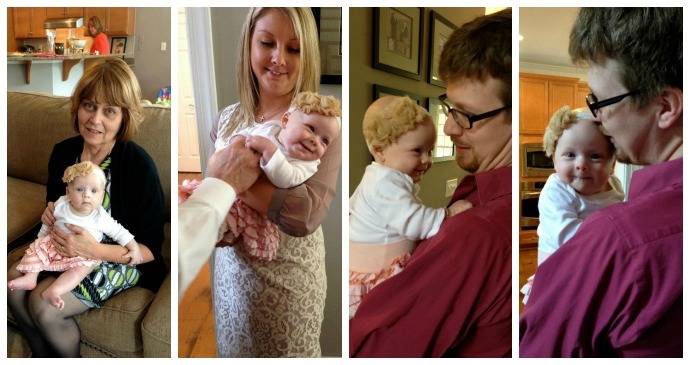 She is a doll and looked absolutely precious :) God Bless Elise! E is so stinking precious. Love all these photos of such a special day! Elise is so adorable! Looks like a wonderful day, congratulations! Looks like a beautiful day! Cute cake! You guys all look so great! 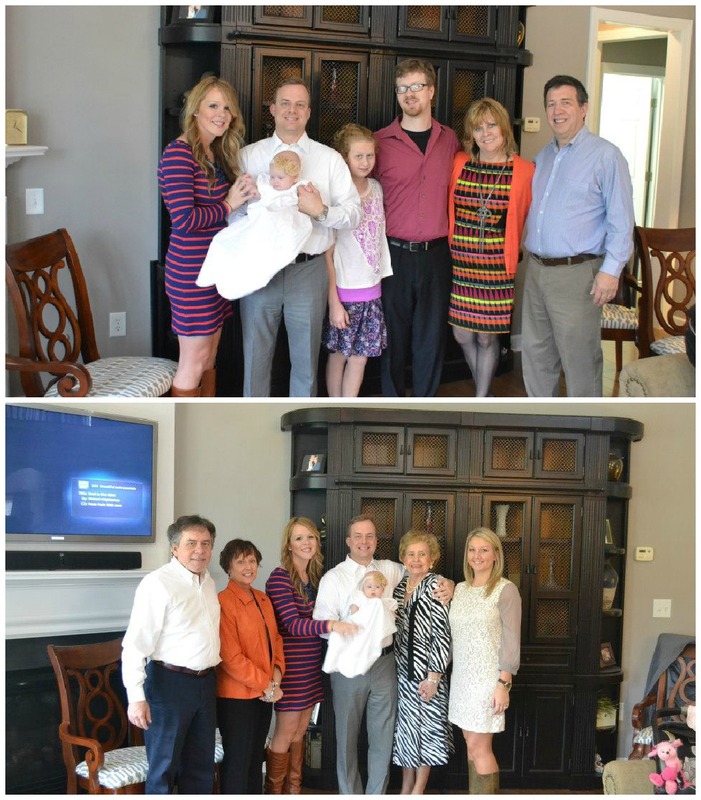 Happy Baptism Birthday Elise! Elise - 4 Sweet Months!! !